I’m delighted to have had another article published on www.foxhuntinglife.com. The piece looks at the fabled ‘Golden Age of Foxhunting’ and can be read below. 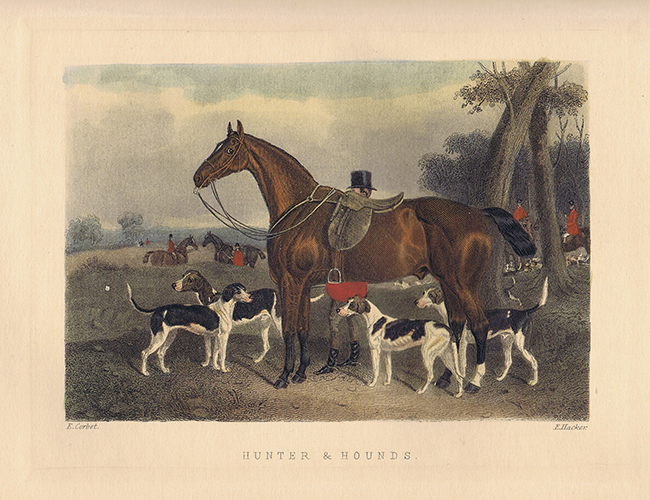 Foxhunters often evoke the nineteenth century as the belle-époque of English foxhunting. This may have to do with the extensive documentation provided by the famous artists and writers of the time. The efforts of Nimrod, Alken, and friends immortalized an age of rollicking runs across open countryside, dashing horsemen and women, and fine stout foxes flying across hill and dale. Whilst The Golden Age as it is known has long since provided a benchmark of foxhunting excellence and excitement, we note that today’s foxhunters are blessed with some decided advantages. Contemporary to canine improvement were advances in equine breeding. The history of the Thoroughbred is well documented, and I needn’t observe that the introduction of bloodlines from Byerly, Darley and Godolphin to indigenous breeds provided the athletic, robust animals that still form the stalwart of the hunting field today. The historical context of the era is also important as it opened up the countryside to the sportsman as never before. It was probably, notes T.E Dale in his history of the Belvoir, “the period in our history when trade and agriculture prospered best side by side.” Before the agricultural depression of the 1870s, the Corn Laws protected English farmers from foreign import, bringing affluence to the countryside that surely fostered favourable attitudes towards the sportsman. 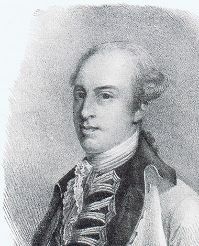 The Enclosure Acts passed between 1750 and 1860 apportioned common land amongst large interests. Suddenly a single landlord with a penchant for hunting now held the key to swathes of countryside. Enclosure not only forged the landscapes we associate with hunting today, but as England’s ancient woodland receded so too did traditional quarry such as red deer, wild boar and even hare. With a new countryside came a new quarry: the fox. 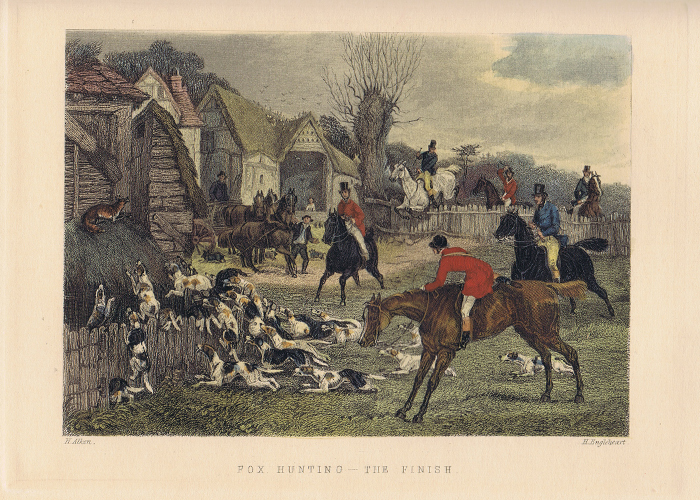 Often perceived as a threat to foxhunting, the growing railway network connected town and country in the nineteenth century affording foxhunting an accessibility that added to its popularity in the golden age. This legacy lives on today in the social diversity of the hunting field. The place of children particularly has changed. My mother recalls the hostility of the hunting ground for small riders even as recently as the 1970s. Today children are a welcome addition to the field. Of those who would much rather motor than ride. And from automobile to jet-plane, we must celebrate too the internationalisation of the sport. With active packs in New Zealand, France, South Africa and of course, the burgeoning tradition in North America and Canada, fox-hunters from across the globe can look beyond their own shores for their sport. A hunting trip overseas provides the opportunity to meet new friends, watch hounds work in a different environment, and to test yourself across new country. Lots of horses died in Fordington Field, and in the town that night, and many were of little use afterwards; yet horses at that time of years should have been in good hunting trim. The reality of course is that the comparison of two hunting eras spanning a time of unprecedented change is difficult. The complete re-invention of British society, two world wars, and unimaginable technological development mean the Golden Age and our hunting today represent worlds apart and it is hard to envisage the true meaning of the contrasts. Whilst some might yearn for halcyon times past and others favour the conveniences and safety of today’s sport, the essence of the exercise remains fundamentally unchanged, and I think that it is this that links us with our foxhunting forebears. Regardless of the era, we revere the chance to explore our beautiful but ever-changing countryside, and, whilst we celebrate the rhythm of tradition, it is the unexpected, unpredictable excitements of a day’s sport that keep us coming back. Foxhunting requires good preparation, flexibility, and resourcefulness. Golden Age hunters and modern enthusiasts enjoy the chance to test themselves against the ever-different circumstances of the chase. I also believe it is these characteristics that have allowed the evolution of the sport through history, giving us yesterdays’ Golden Age, our golden age today, and the prospect of more gilt-edged hunting tomorrow!